Not in our chart is an improvement in the camera from the Air to the 2017 iPad. The iPad Air has a 5MP rear-shooter, improved to an 8MP camera in the Air 2 and new iPad —but please don't be that person who holds up your iPad at a concert or other venue to capture it on video. We've already touched upon the return to the iPad Air's size and weight —the Air 2 is thinner than the 2017 iPad, but has a smaller battery. How much of a difference the difference in battery and a shift from three cores to two in the new iPad will have on use time remains to be seen. AppleInsider will evaluate the difference when we can get our hands on one. The improved specs lead up to better performance —with notable improvements from the iPad Air, and even some from the iPad Air 2. It's never been quite clear how much of the iPad's day-to-day use implements symmetrical multiprocessing —this probably depends greatly on the app in question. The new iPad has the best single-core performance out of the iPads we're comparing today, with a comparable multi-core performance to the three-core iPad Air 2. There is a notable caveat —the benchmarks we've listed in the chart are pulled from the iPhone SE which has an A9 processor running at 1.8 GHz. The 2017 iPad is said to run at 1.85 Ghz, so we're not expecting a major difference from that, but there may be other factors involved. We'll update the chart accordingly when we can get a reliable benchmark running on the hardware itself. 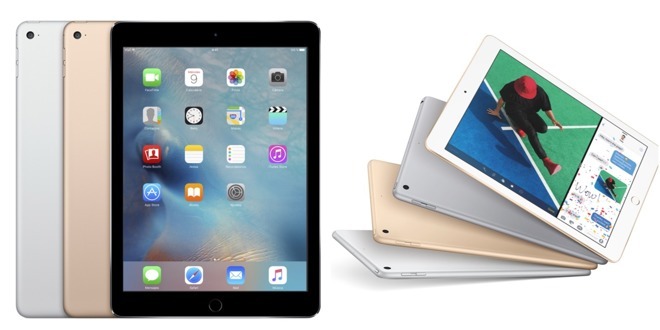 The iPad Air has in essence the same display as the iPad 3 and 4 —a multitouch display with LED backlighting, and a scratch-resistant coating with a glass cover. 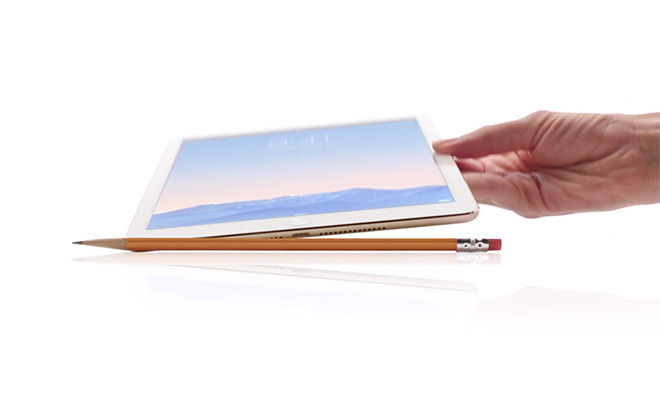 The iPad Air 2 moved to a fully laminated display with an additional anti-reflective coating. As the display isn't completely laminated, the Touch ID sensor should be discrete as well —but confirmation of this will require a teardown. As an education model, the lower price will allow for lower pricing for schools of all stripes. The non-laminated screen makes repairs a bit less arduous, and may allow for discrete Touch ID module replacement —but on this, we'll see with time. The 2017 iPad revision excels in some aspects, and is a bit behind in others compared to the iPad Air 2 —but the choice to buy or not isn't so cut-and-dried for iPad Air owners. 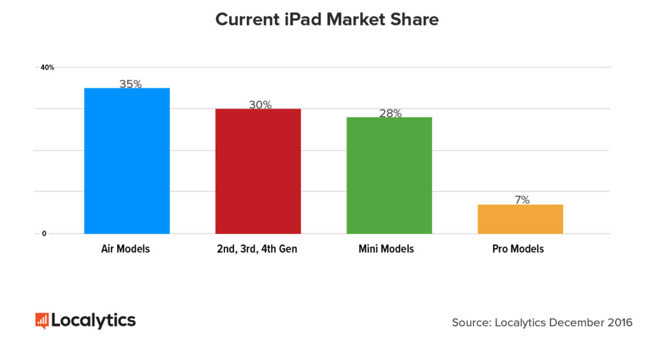 At this point, iPad Air users have seen a pretty decent return on investment —but the replacement cycle for iPads is more like for computers, so it may not feel like time to upgrade just yet.